Kuba-Nbengi Forehead Scarification and Hair Styled with Redwood Paste. Photo by Jan Vansina, 1956. Image courtesy of the University of Wisconsin. The online catalogue of the Madison Libraries at the University of Wisconsin contains 200 beautiful field-photos made by Jan Vansina, authority on the history of the Kuba, during his stay among them in 1956. You can browse the 200 images here. Although figure carving is not generally associated with the Kuba-Shoowas, the practice of carving a representation of the village female chieftain such as this is common throughout Shoowa groups. These are comparable to Kuba-Bsuhong royal figures (ndop). Photo by Jan Vansina, 1956. Image courtesy of the University of Wisconsin. This entry was posted in Research and tagged Kuba on December 22, 2013 by admin. Since a couple of years more and more museums are making their collections available online. The Royal Museum of Central Africa in Tervuren (holding 180,000 ethnographic objects), is following this trend and has been slowly but steady adding new objects to their ever growing online database. If you are researching a Congolese object, it proves to be an indispensable tool to find related examples. 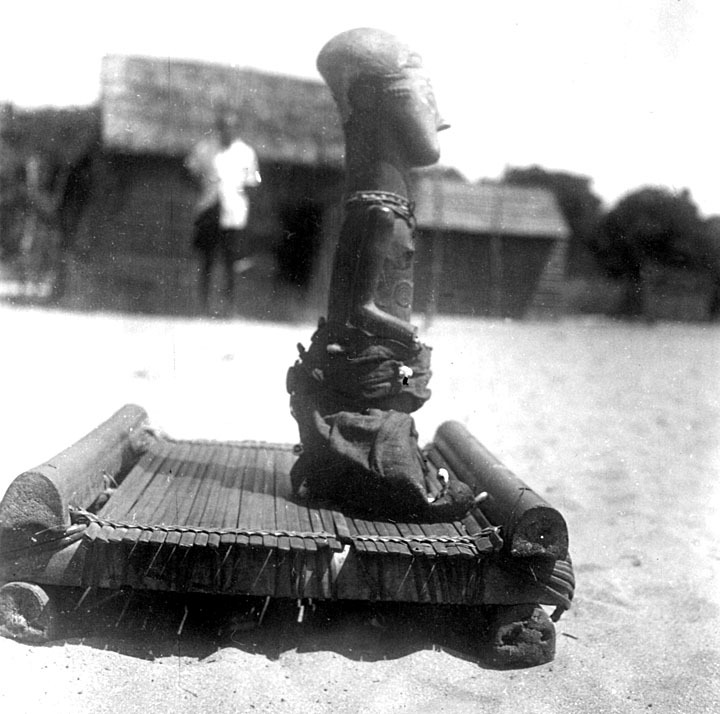 Through the years, I have made some amazing finds while doing research on a specific object; for example the amazing Kuba figure illustrated above (clearly influenced by the Luluwa). You can search the database here. Note that the search query ‘figure’ most often gives no result, try ‘figurine’ or even better ‘beeld’ or ‘statue’. Unfortunately not much contextual information is provided, though the acquisition date can of course always serve as a terminus ante quem. Also noteworthy are the several featured collections focusing on a specific theme, such as drums from Sub-Saharan Africa, stone grave statues from Lower Congo and Ovimbundu sculpture. 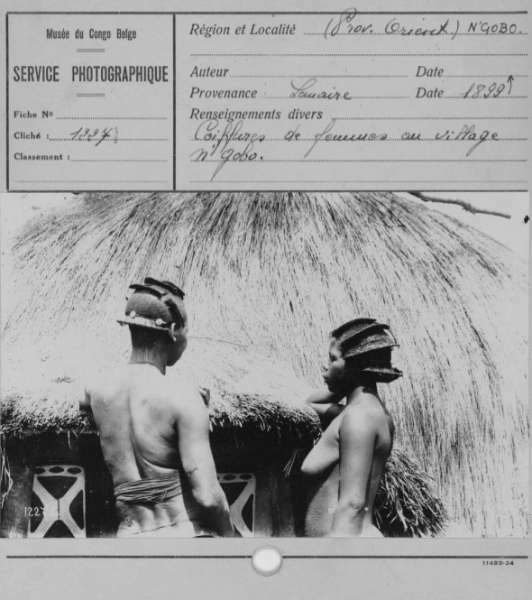 Interesting sets of field-photos include photographs of the expedition of Charles Lemaire (1898-1900), photographs of the expedition of Armand Hutereau and the ethnographic field photographs of Auguste Bal. For the full list of featured collections click here. 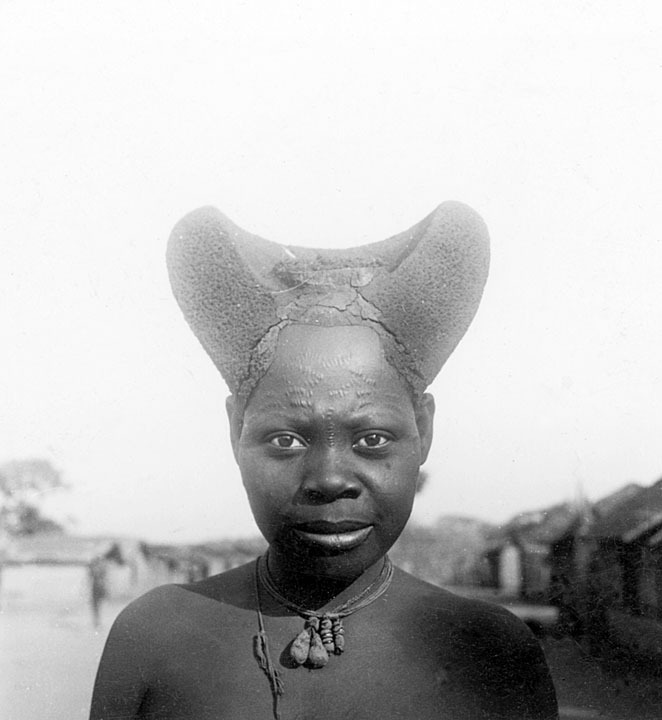 The Luba-Shankadi hairstyle in the village of N’Gobo. Photographed by François Léopold Michel in 1899. Image courtesy of RMCA, AP.0.0.1227. Personally, I was very happy to find a Mangbetu knife similar to the one I recently acquired (see here), purchased by the museum from Father A. Leysbeth in 1959. This entry was posted in Research and tagged Kuba, Mangbetu, Ovimbundu on August 6, 2013 by admin.